Departing from the Peachtree Center Mall, you'll first head to the Martin Luther King Memorial Site and take a guided tour of this historic site. After exploring the MLK Memorial Site you’ll head to the Atlanta Beltline and tour Krog Street Market and Ponce City Market. 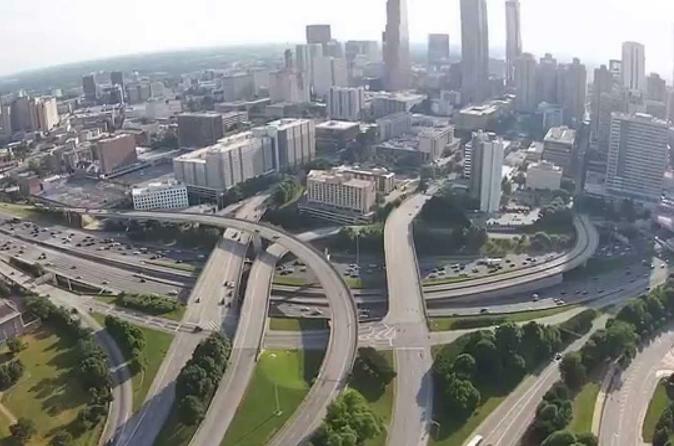 Next we will stop by the CNN Center for lunch on your own and afterwards we will drive through the curvy and hilly roads of Buckhead on our Buckhead Mansion Tour portion of your trip. Have your camera ready to take pictures of famous homes you may have seen on the TV screen. With a guaranteed window seat, you can sit back and relax as you enjoy the incredible views of Atlanta. Your professional tour guide will provide expert commentary along the way. Let us be your tour guide as we explore the many unique and amazing sights this world famous city has to offer! Some of the other locations on this sight-seeing tour are: Swan House, Atlantic Station, Margaret Mitchell House (Birthplace of Gone with the Wind, Centennial Olympic Park (Home of the 1996 Olympics), Fox Theater, CNN Center and much more!